If you've been asking how to lose weight, you've been asking the wrong question. The Zero Stress Diet is unlike any diet you've tried before. The goal of this diet is to help you increase your energy by reducing your stress. When you stop overtaxing your adrenals, thyroid, pancreas and liver with what the author Dan Kass calls “fun-fake-foods”, your body can finally get healthy enough to rebalance at your optimum weight. Since this diet does not depend on any foods that contain gluten to provide your nutrition, it works great for those who need to eliminate gluten from their diet as well as those who don't. Looking and feeling younger has a lot more to do with what you eat than you might think. When you break the stress cycle, you give trillions of cells in your body a vacation from stress and a chance to heal. This diet makes it easier than you ever thought possible to relax, lose weight and feel great! 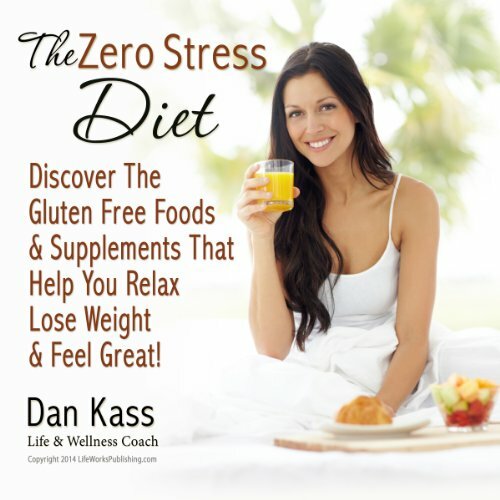 Enjoy the Kindle or audiobook version of The Zero Stress Diet today. Losing weight is just the beginning!